If you are looking for subtle enhancement in the fullness of your lips, we now offer our patients Volbella, the newest injectable treatment in the Juvéderm filler collection. This facial rejuvenation treatment will not only plump your lips but it will also soften and smooth the vertical perioral rhytides (lines around the mouth) for patients 21-years-of-age and older. Volbella is made up of hyaluronic acid with the Allergan VYCROSS® technology for a more youthful natural-looking, long-lasting result. 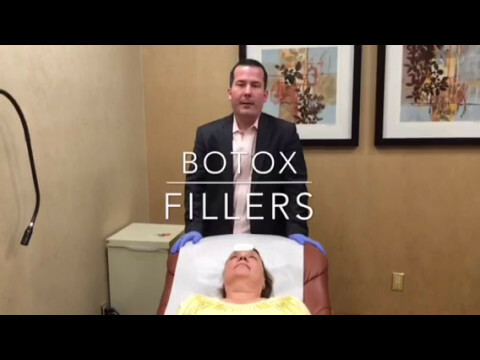 If you would like to be considered for this new injectable treatment at our Florham Park, NJ office, please call and schedule a one-on-one consultation with one of our board-certified plastic surgeons. "Always happy with the results of my filler and Botox treatments with Dr S!!!! !The office is elegant and well kept.The staff members are very kind and upbeat!" The Volbella treatment session usually takes about 15 – 30 minutes and is dependent on how many injections are required for the desired result. Every treatment is personalized for each patient. To limit discomfort, a topical numbing cream can be added to the injection site. After the treatment, you should limit strenuos exercise, sun exposure and avoid alcohol for at least 24 hours. During your consultation, you and your physician will determine if Volbella is right for you. You may not be a good candidate for treatment if you have severe allergies or are taking blood thinners or medications to prolong bleeding as the Volbella treatment may cause an increase in bruising at the site of injection. The Food and Drug Administration (FDA) has approved Volbella for lip augmentation and to smooth the wrinkles around the mouth for men and women over the age of 21. As with any medication, there is always a risk of side effects. Volbella may produce discoloration of the lips and skin, pain, swelling, itching, redness, tenderness, lumpy lips, bumpy skin around the mouth and site of injection, and firmness under the skin. These side effects should be mild, and last no more than 30 days. If you experience any side effects, please call our office to report the condition. Volbella patients report feeling no more than a pinch during the actual treatment. Lidocaine is mixed into the Volbella which minimizes discomfort during the treatment.